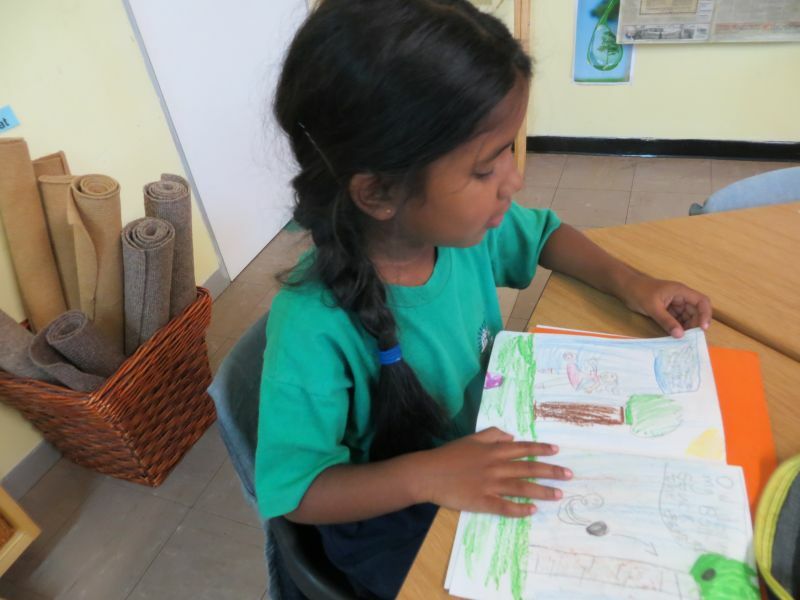 Once a week, grade 1, Montessori Wonderkids based in Jan Smuts Road, Durban, have a right brain creative writing lesson run by Mariam Akabor, a journalist and trained Right Brain Mentor. Mariam herself was a student of Felicity’s when she was 15 years old. Now, with a BA and an MA honours, she carries on the tradition of right brain writing. On the 2nd of November, Felicity stood in for her and ran her class as Mariam was overseas. After a morning of left brain learning, the freedom of a right brain session is refreshing! The little children, left to create as they wished, produced colourful “books” ! Creativity flourished!